Amuro Namie to open for "ONE PIECE" with song, "Fight Together"
Self-proclaimed "Queen of Hip-Pop" Amuro Namie will be providing the opening theme song for the wildly popular manga and anime series, "ONE PIECE". 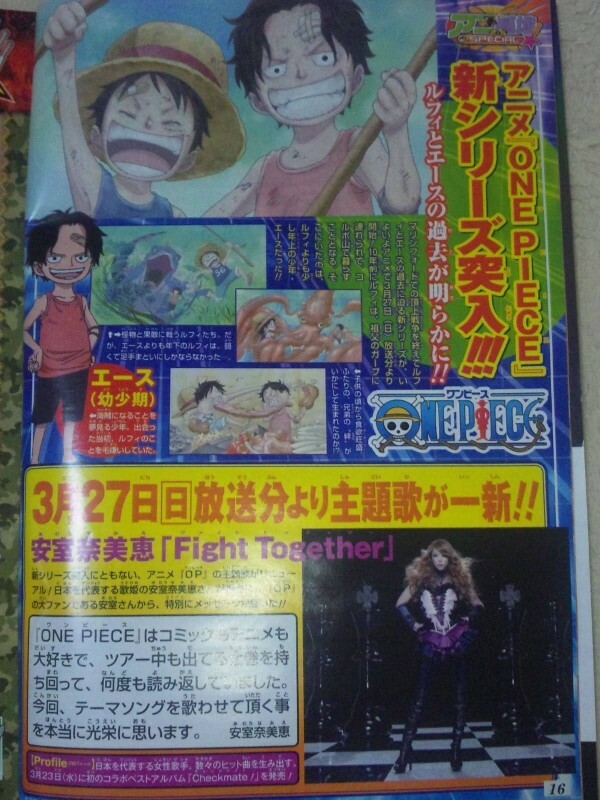 Although there are no plans for a release of the song yet, here's what we do know: the song, titled "Fight Together", will first hit the airwaves on a March 27th airing of the anime, and is expected to be an upbeat track. When asked about the opportunity to sing for the anime, Amuro released a comment full of positivity and happiness: "I love 'ONE PIECE' as a comic and as an anime, I even read it when on tour. I'm honoured to be doing the theme song this time around". Come back to tokyohive for a preview of the new track in the coming weeks! Tackey & Tsubasa release PV for "Yamanotesen Sotomawari"